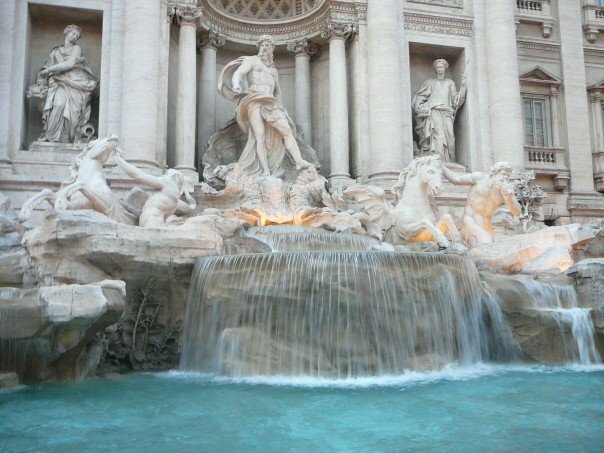 I wrote this in the early Spring of 2007, after travelling to Rome for the first time. Today marked the end of my four-ish days in the Eternal City . I am exhausted, but I saw it all. Or at least, it feels like I did. It was a whilwind trip. Four days is a remarkably small allotment of time in the grand scheme of things, isn’t it? Actually it was only really three and a half because the Ciampano Airport in Rome was too foggy to land until lunchtime. 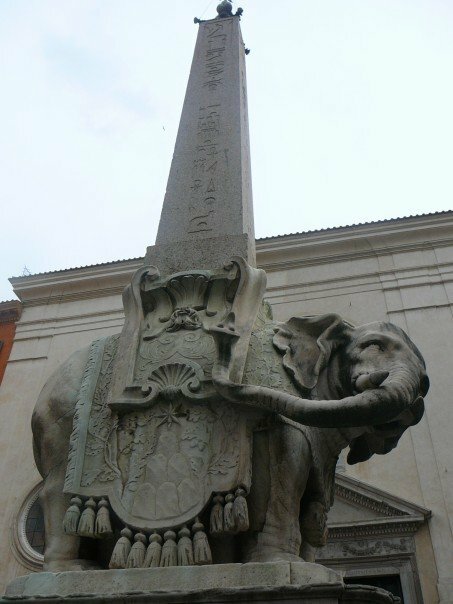 I actually think I got callous to artwork after about the fifth time we just happened across Bernini artwork in random piazzas and on occasional streetcorners. And don’t even talk to me about ruins. 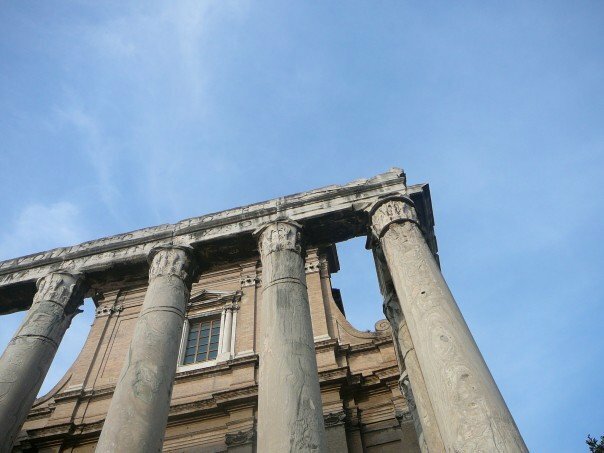 Did I mention that I went through the ruins of the Roman Forum? And the Imperial Forum? Twice? I saw enough pillars, whole and in pieces, to last me well into eternity. It was incredible. We also did a little touristy stopping and shopping at random points throughout our more-intentional visits. Suffice it to say, right now I’m tired. But like I said, we did it. 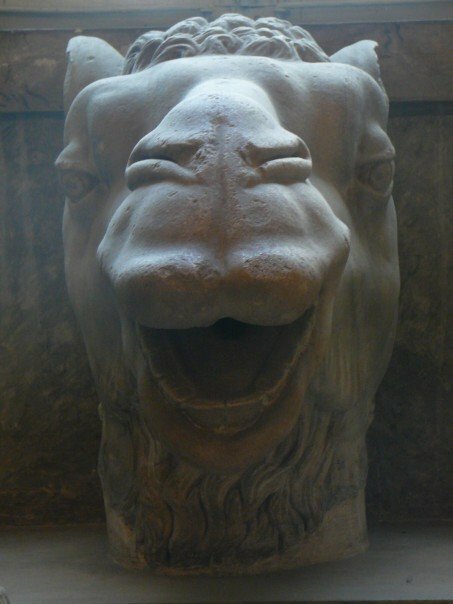 I think I’ve officially and successfully “done” Rome. Whatever that means. Without going into EVERYTHING I saw and did, I’ll try and share the high and low-lights…and any generally interesting bits. First, the Youth Hostel experience (my first, I might add) was not so wretched as you might imagine. I mean, I’ve always thought they were ineptly named, I mean, who wants to stay in a place whose homonym is Hostile? It just sounds a bit off, doesn’t it? Well, we actually didn’t get what we expected, but it worked out. We got budged out of “Ciao Bella” hostel and into “Pegasus” hostel due to shower issues (we didn’t ask for details) and it worked out just lovely, with the exception of The Smoker from Senegal (self-explanatory) and the Precarious Toilet Paper Stock (also pretty self-evident). It looked a little shady for a bit…especially when our “guide”, whose name was pronounced aaaaaaaaaaaaaaaa-LEX, didn’t speak to us and GOT LOST on the way to our new hostel. . . all while singing “My hips Don’t Lie” to himself (SHAKIRA?!?!). Special kid. But we got there and it was okay. So: no Youth Hostel nightmare stories. Phew. Oh, and, it’s true. 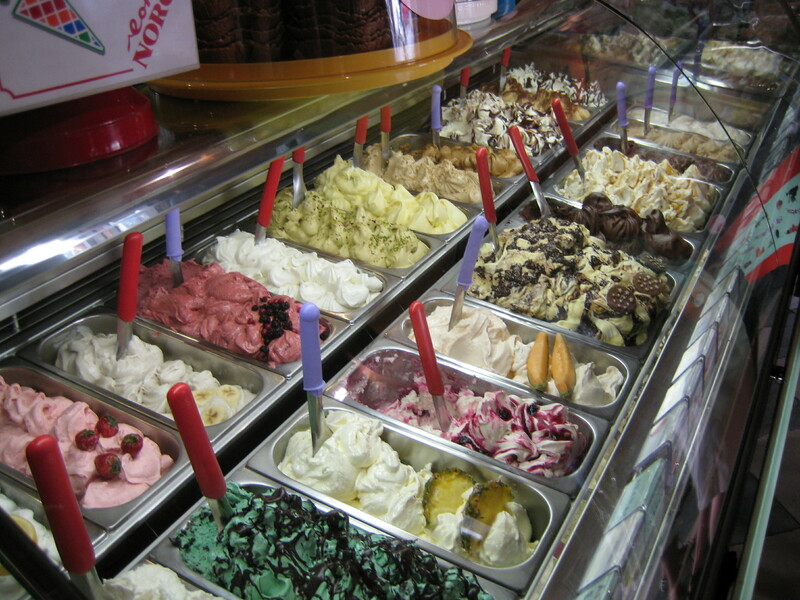 Gelati is really just better than pretty much. . . everything you’ve ever tasted. You know, we call ourselves a developed country in the USA, but why don’t we have pear, lemon and tiramisu flavored ice cream at every streetcorner? There’s even Gelato in McDonalds here. I didn’t try it, but it was THERE. (Clarification, I didn’t try it at McDonalds…I did try it. No fear.) 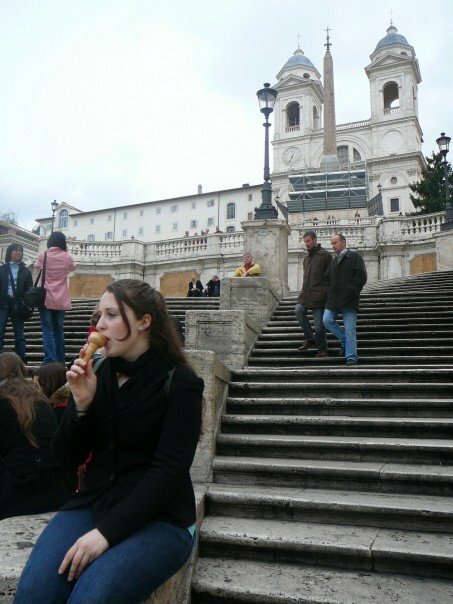 Gelati joints are to Rome what Starbucks Shops are to NYC: They’re EVERYWHERE. Speaking of coffee, just as a side note, Italian coffee is just amazing. I had the best Cappucino ever. And I don’t even like coffee. Soooo, good coffee and insanely good gelato. And the chocolate gelato? Lets just say, I may never eat chocolate again, because I don’t know if anything can measure up to this particular brand of Chocolate-Flavored-Italian-Nectar-of-the-(proverbial)-gods. 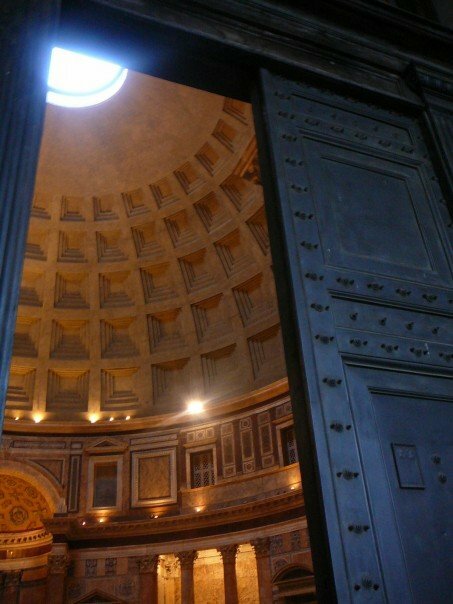 Speaking of our daily jaunts…All roads might lead to Rome, but, once you’re there, good luck finding a concrete sense of direction! I was designated direction-finder for the past four days (ish) and, let me tell you, it was an adventure. 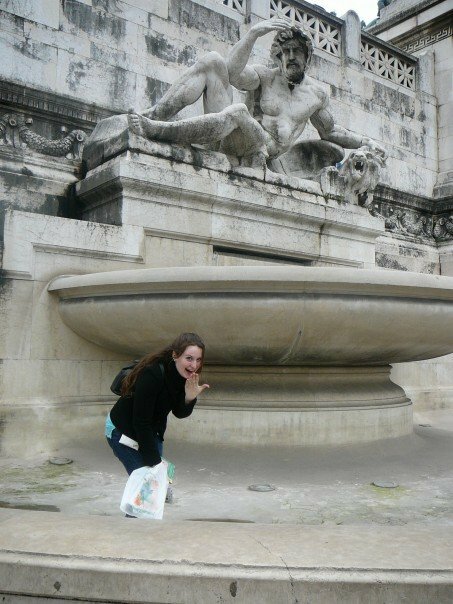 I can now boast, however, that I can find my way around Rome all by myself. I’m a big girl now. The only real big botch was the extra 45 minutes walking to the catacombs, but we DID get to meet the cute old Italian lady who hand-signed us directions. I still hold that the experience was worth the extra walking. We didn’t see the Pope, but I don’t think he would’ve been nearly as impressive as his house. Goodness gracious. 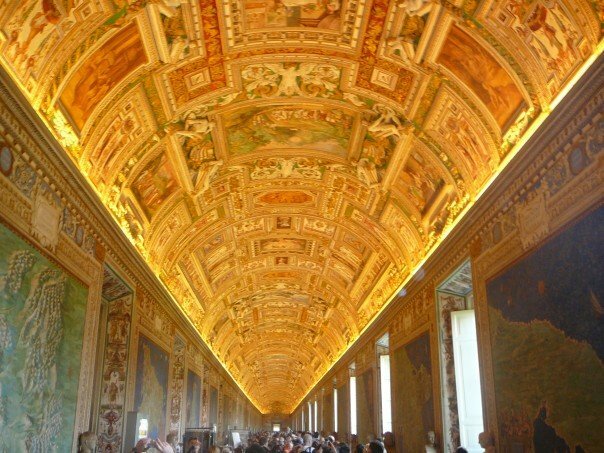 If I was the pope (moot hypothetical, I know) I would totally just spend all my days walking around my MUSEUM at the Vatican! Paintings, sculptures, mummies, mosaics, maps, everything. . . You name it, they’ve got a room for it. The Cistine Chapel is absolutely exquisite. 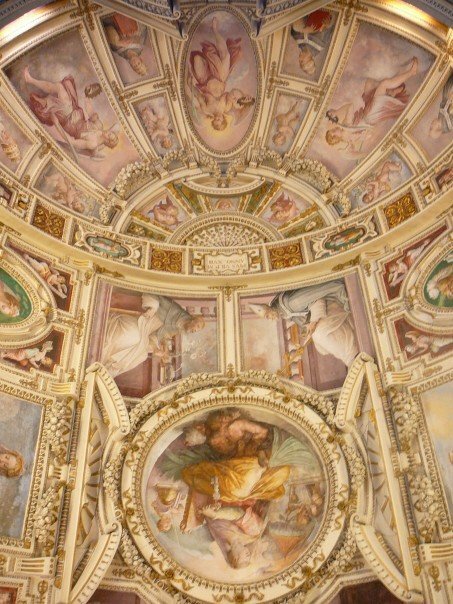 My favorite part of the ceiling is definitely the part where Adam and Eve are in the garden, sort of above the square with God and Adam doing their little finger-touch-tching-heavenly-choir-moment. Michelangelo was the man. 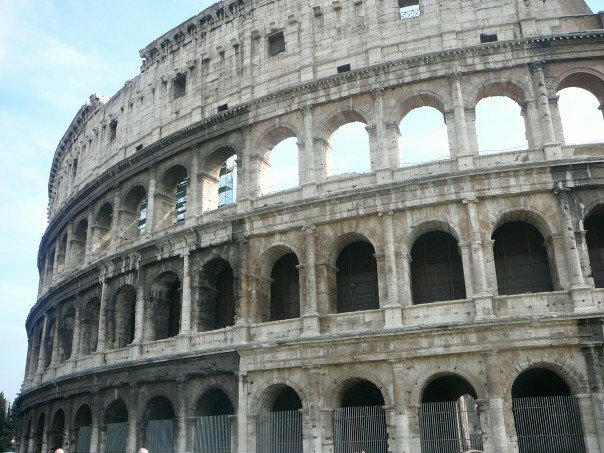 If I could see any one thing in Rome restored to its original beauty, it would definitely be the Colloseum. The forum might be neat, but the Colloseo would be UNBELIEVABLY cool. 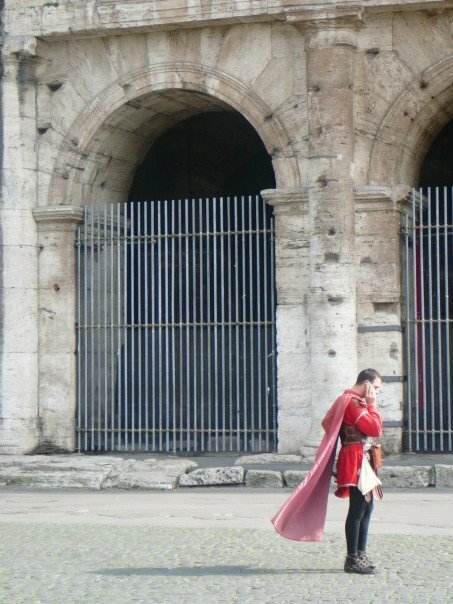 Out front, there are all sorts of men dressed as gladiators walking around. They’re hard to believe…especially when they’re talking on cell phones, but if you sort of squint and have an active imagination, you can see how incredibly incredibly incredibly impressive it once was. Wednesday morning was fabulous. 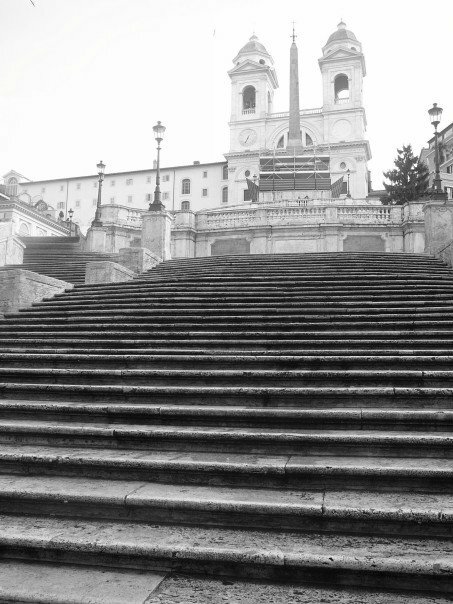 My dear friend Kate and I lived out a mutual dream and had our own personal Roman Holiday, from the Spanish Steps, to Via Margutta 51 (which we actually got INto, thanks to some nifty construction workers leaving the door open! ), to the Boca della Verita and on. No haircuts and no success finding strappy little sandals, but everything else was fabulous! Lets see, any other general things? Hmmmm. Yes, we ate pasta and pizza. Yes, the food was fabulous. Yes, we got serenaded by street performers while eating. No, we did not succeed in our diabolical plan to hijack ourselves a couple of Vespas, which was a shame for our feet, but probably helped balance out our daily gelato tastings. Yes, I did hear somebody ACTUALLY say Mamma-mia. No, I didn’t buy any designer clothing. Hmmmmmm. . . . When I got off of the plane thismorning in Marseille, ALL I wanted was to be getting home to my REAL home. Because as much as I love France, I still hold that there’s nothing like travel to make you realize there’s no place like home. This is fantastic – the pictures, your account. I want to go there so badly!